Equally the college wanted to demonstrate a seamless progression from training kitchen to front of house production; the whole area is very visible, making it vital that the space would work as students training in it would be in the public eye. The design brief also called for a counter with a reduced height area for special needs students too, with everything needing to be done on a tight budget and within an even tighter time-frame. The kit of choice was Falcon Foodservice Equipment for the main cooking ranges, Britannia for ventilation, Moffat for fabrication and Gram providing the low energy refrigeration. Space also installed Lincat electric hobs and ovens in lower height work stations for special needs students to improve their skills before moving to the main training area to hone them further. The resulting scheme is a haven of restful sea green and cream, offset by stainless steel, with all the new facilities close to hand and well-laid out. 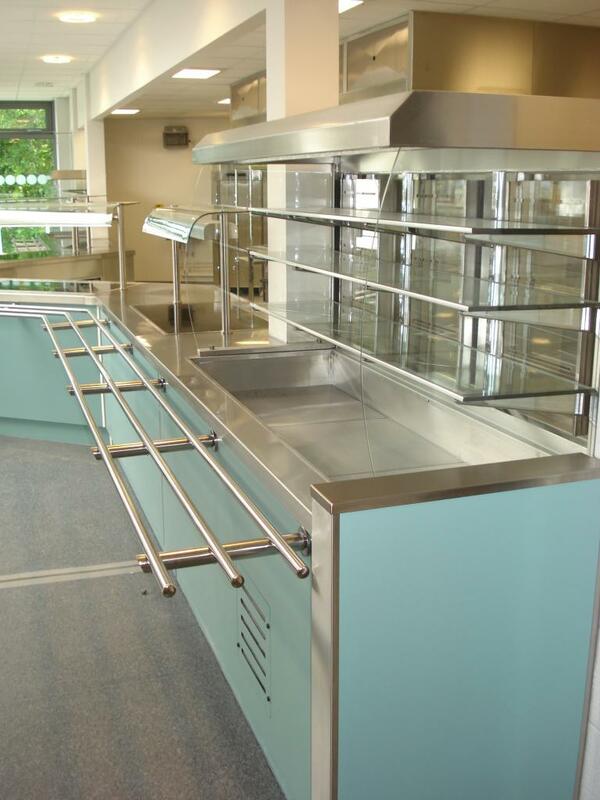 Space worked in close partnership with main contractor Bovis Lend Lease and the college to deliver the training kitchen on time and in budget, with a very pleasing end result for the customer.